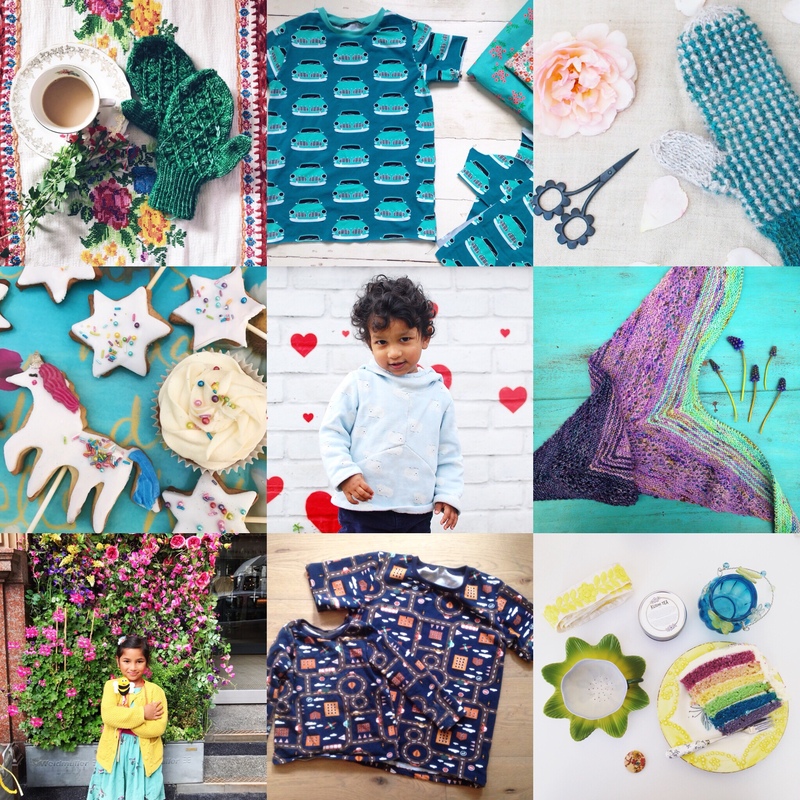 This year feels like it has been a turning point for me as I finally feel connected to a global community of makers and creative people through Instagram. I started the year with the aim of developing my sewing and photography skills and decided to do a Makelight course. I have posted about the course before, as it really helped me to understand what I needed to do to improve my lighting, composition, and focus on the colours and themes I find inspirational. 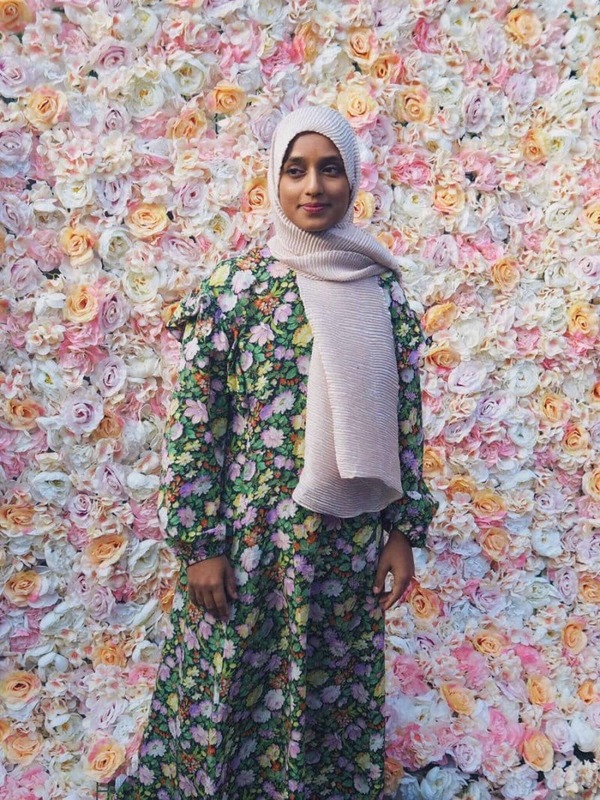 Despite having lots of ideas I hadn’t been able to put them across in the way I wanted and wasn’t connected with a wider community, which was frustrating as I have been blogging for a long time now. This is a review of most of the things I have made this year and some thoughts on what I’d like to achieve in the next year. 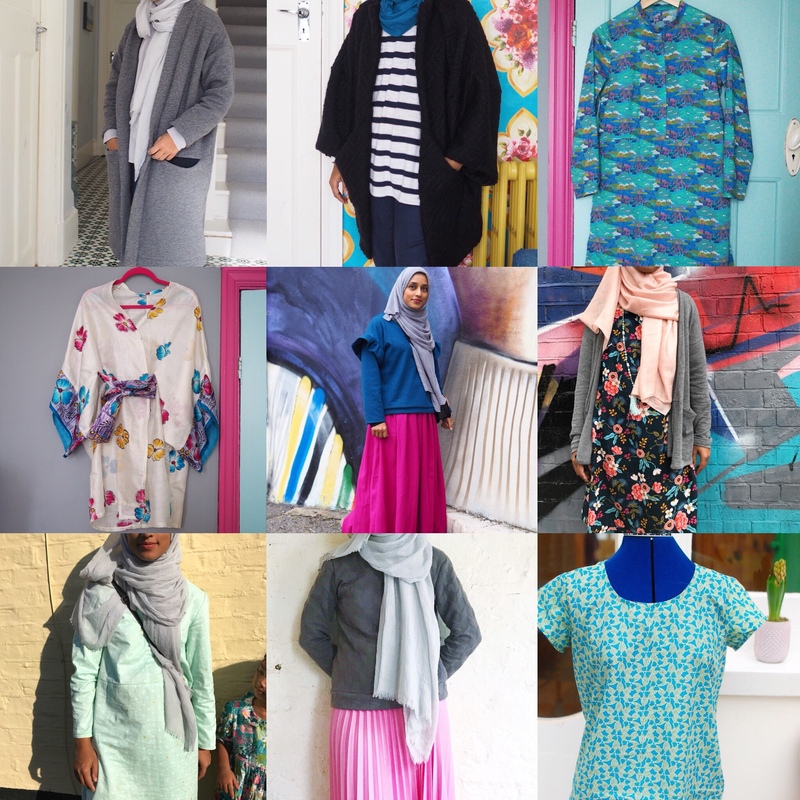 What I learned: I got much more comfortable with sewing with jersey and heavier knits. I also used some lightweight fabrics like the silk sari I used for the Seamwork Almada, which was challenging to work with. I finally worked out that I need to do a narrow shoulder adjustment on most garments with a set in sleeve, and have had a go at doing them but need to practise more. I made trousers (not shown, the Tilly and the Buttons Marigold trousers and Hudson pants), and a coat (the Sapporo coat by Papercut patterns). Using Netprinter to print A0 patterns has been a gamechanger as I don’t enjoy sticking together PDFs. Most worn: I wear my Driftless cardigan all the time as its a great layering piece. The fabric is a lightweight jersey which is warm but doesn’t take up much space. I also wear my I Am Cassiopee dresses constantly. Both my Esme cardigans have also been worn a lot this Winter. 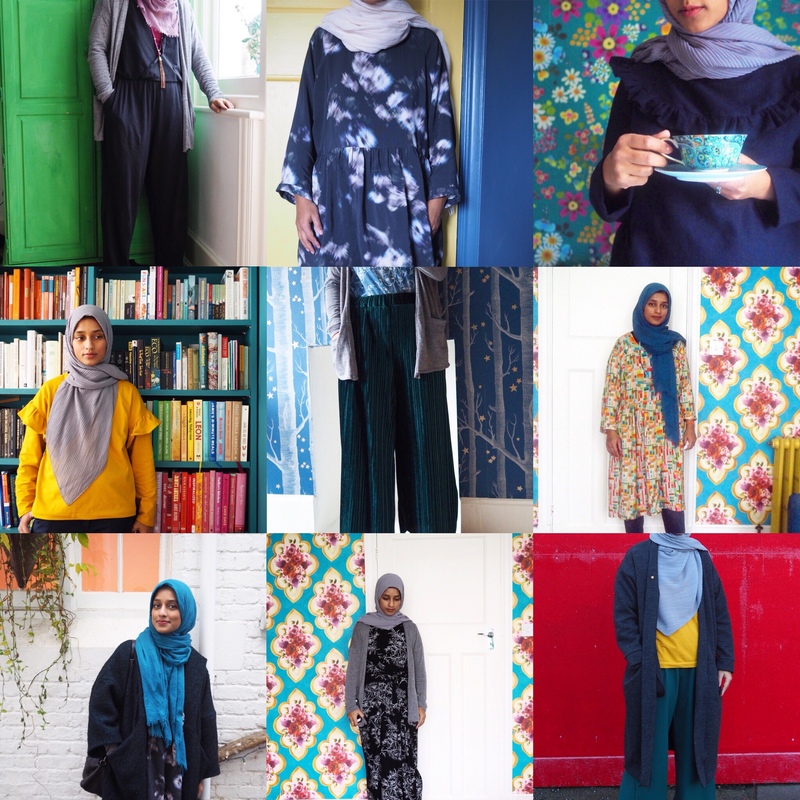 Sewing plans for next year: I will be sewing with some favourite prints I have had stashed for a while, as well as trying some more trouser and coat patterns. I have bought the Jeans course from Closet Case Patterns so I need to have a go at those too. I’d like to make some bags and zip purses as well, and be more confident with setting zips and buttonholes. 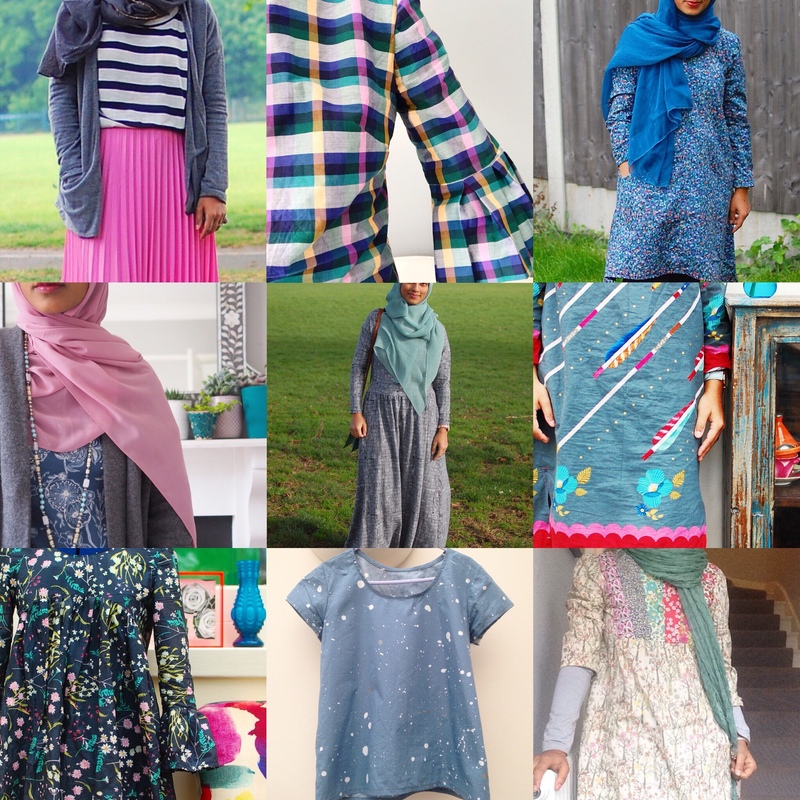 I am happy that I have managed to sew quite a lot of items that I wear regularly and will be making more basic cardigans and tops. Fabric/pattern stash: I’d really really like to reduce my stash as it is ridiculous at the moment! I can easily make 30-40 items from fabric I love, so it doesn’t make sense to keep buying more at this stage. There are a couple of prints I would like but I am trying to hold out at least until my birthday… I have plenty of patterns too so am hoping not to buy more of those either. 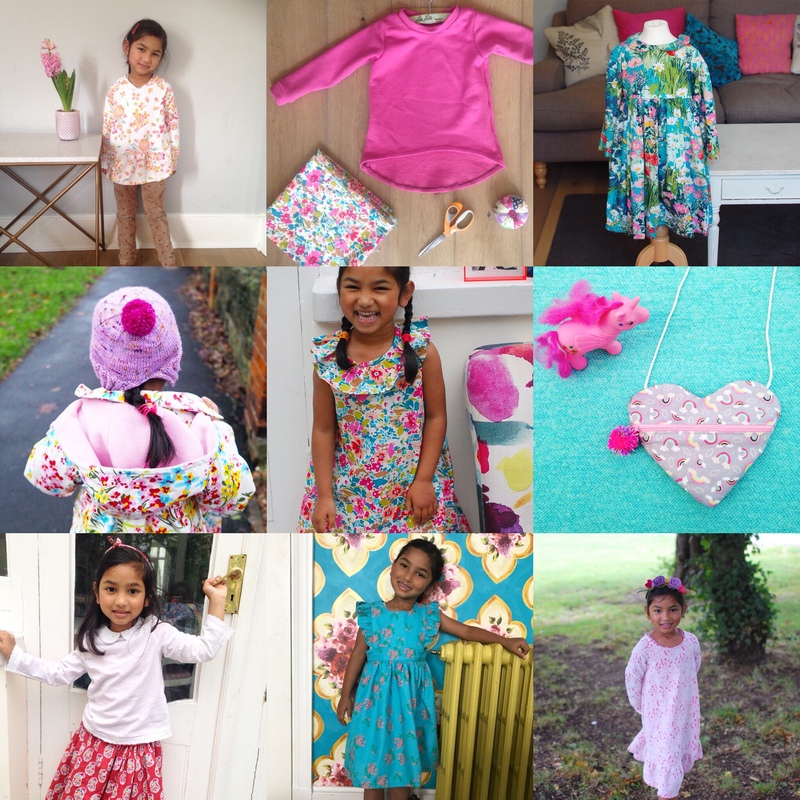 I haven’t made as much for my daughter as I have done in previous years but I did make her some pretty dresses and clothes that have been worn regularly. Now she is at school there aren’t as many occasions to wear nice dresses! I will be making more for her and the other children this year. I’d like to make her a good wool coat for next winter. A few other makes here, including some knitting and baking, as well as clothes for my boys. I didn’t knit as much as I’d have liked because I got stuck on the Find Your Fade shawl! Next year I’d like to make at least one sweater for me, and more accessories for the children. 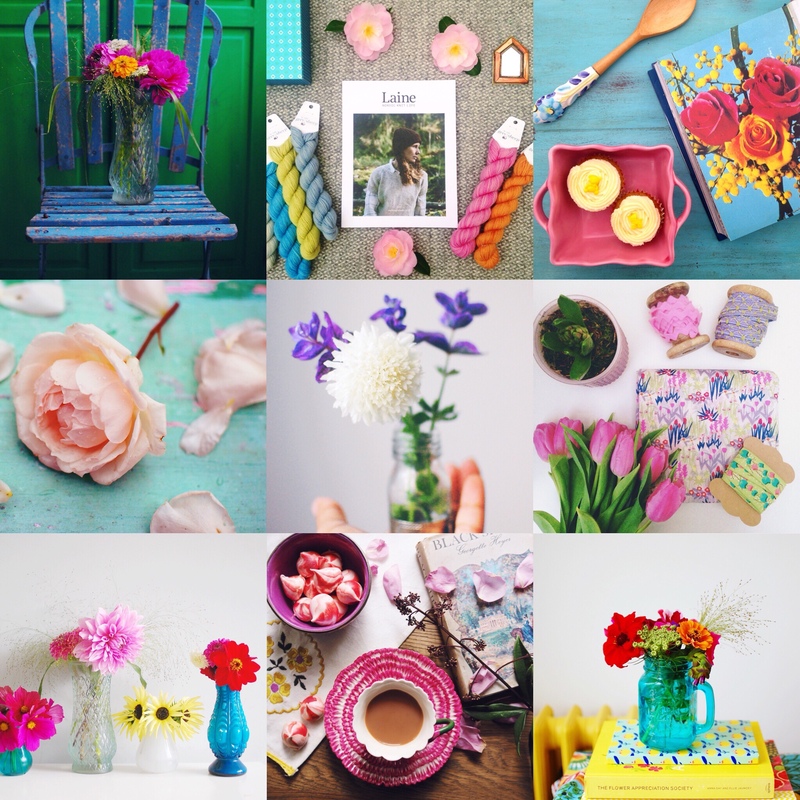 I have really enjoyed styling homegrown flowers and telling stories through pictures on Instagram in the past year. I have grown flowers for a few years now but I enjoy planning and taking pictures and have missed not having any in the garden over the winter! This is one area in which I’d like to improve, as I’m not always satisfied with the quality of my pictures yet. I am considering learning Lightroom or some other editing software to help with this, but at the same time I’m aware that I don’t really have lots of time to spend on this at this time. It’s also important for us as a family to do things together and I want to focus more of my time and energy on getting the basics right, like being organised, healthy and using my time well. I would like to use all the resources I already have rather than spending more time and money acquiring more in the next year, which is why I am intending to have a low spend year. It would be unrealistic for me to say I will spend nothing but I will try my best to consume less and be more mindful with my spending. I hope you all have a wonderful start to the new year! Hi Atia, I didn’t know you before 2017 but I think you have been hugely successful with both your sewing and photography. I haven’t had access to a proper camera for a few years now but am about to buy one – will read your post on Makelight. Thanks for your comment Kate! It definitely makes a huge difference thinking about lighting (I only photograph in natural light) and using a proper camera, although I use my phone camera a lot too. It’s very tempting to take photos at night as that’s when I sew but the quality is just so different!